Gudrun Heinz is a qualified teacher of Fine Art and Textiles with bachelor and master qualifications. She has had a passion for creativity since childhood. 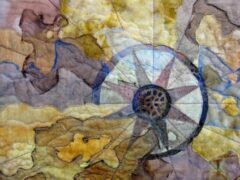 Since the early 1990s, she has been particularly involved in patchwork, quilting and other textile art techniques. Gudrun not only took part in a series of exhibitions, but some of her works also won prizes. This motivated her to organise the competition "Cheerful Textile Inspirations" with its subsequent touring exhibition. A second competition entitled "Amazing! Textile Experiments" followed. Resulting from the 3rd competition, "Textile News", was the next exhibition, which premièred in June 2009 at the Swiss Quilt Festival, toured through Europe and has since closed. For the Textile and Racing Museum in Hohenstein-Ernstthal (Germany), she devised the competition "ARTJacquard Inspirationen", which she also supported in an organisational capacity and as a jury member She acted as an adviser for the subsequent touring exhibition. From the 4th International Small Format Challenge "Textile News: Freiheit Liberté Freedom", she formed a new exhibition, which premièred at the Festival of Quilts 2011 in Birmingham (England). This also toured throughout Europe and beyond, with the kind support of BERNINA. This exhibition has now finished. A special exhibition with a focus on political and social issues is "Signs of the Times". Gudrun Heinz invited a number of top textile artists from different European countries to participate in "Signs of the Times". "Signs of the Times" was exhibited at the City Museum in Einbeck (Germany) in May/June 2012, at the 18th European Patchwork Meeting in Ste Marie-aux-Mines (France) in September 2012 and in April 2013, in Prague (Czech Republic). From 1 June - 29 September 2013, the exhibition was on show at the "Duchfabrik Esch-Sauer" in Luxembourg. From the end of June to the beginning of November 2014, it will travel within Germany - to Heidelberg and Hohenstein-Ernstthal. For more information go to: www.quiltsundmehr.de. This exhibition is also kindly supported by BERNINA. In addition to her own artistic creative work, Gudrun Heinz also writes reviews and, in particular, photographic reports and portraits of artists for the BERNINA blog and articles for various journals, designs catalogues and is invited to act as a curator and juror - most recently for the competition by the German Patchwork Guild "Tradition bis Moderne IX", the mini-quilt competition on the theme of "Eco/Öko" in Sofia (Bulgaria), for the competition at the Prague Patchwork Meeting 2012/2013/2014 (Czech Republic), the competition "Traumgarten" at the Riga Quilt Festival 2012 (Latvia) and for the international competition "Déformation" (2013) of the European Patchwork Meeting in Ste Marie-aux-Mines (France) - and as a speaker at the International Quilt Forum in St Petersburg 2011 (Russia) and in October 2012, at the Quilt Symposium in St Petersburg (Russia). Her last solo exhibition toured Russia from September 2011 to February 2012 and, with the addition of new works, was exhibited at Quilt Expo en Beaujolais 2012 in Villefranche sur Saône (France), at NADELWELT 2012 in Karlsruhe (Germany), in August 2012 at an event organised by the Latvian Guild, Riga Quilt Festival 2012, and at the 7th PPM 2013 in Prague (Czech Republic). 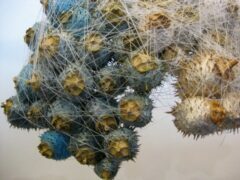 The latest exhibition based on entries for the 5th International Small Format Challenge, "Textile News: Langeweile. Boredom. Ennui. ", opened at the Festival of Quilts in Birmingham (England) in August 2013 and has since been on tour, for example, to Riga (Latvia), St Petersburg (Russia), Moscow (Russia), Murmansk (Russia) and Prague (Czech Republic). For more information go to: www.quiltsundmehr.de. 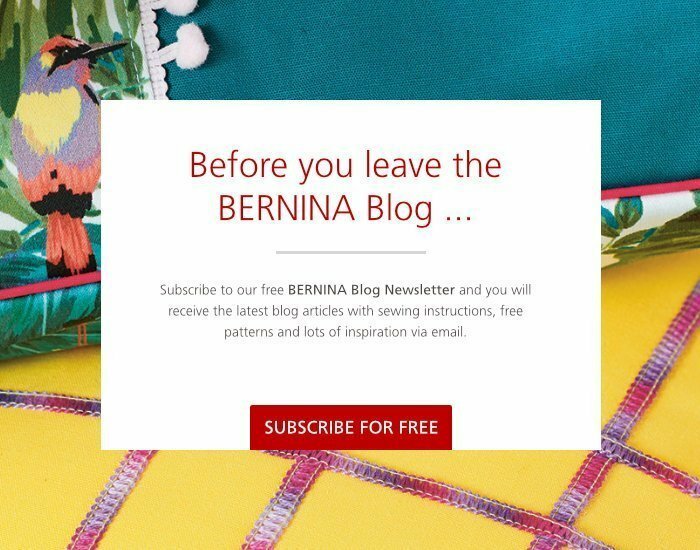 This project is also kindly supported by BERNINA.